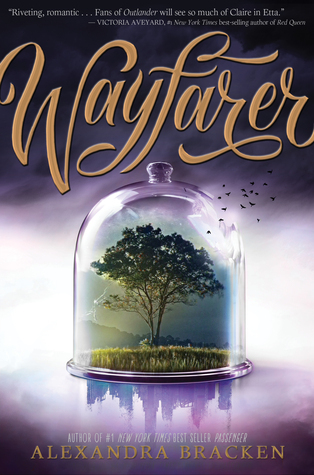 Wayfarer is written by Alexandra Bracken and narrated by Saskia Maarleveid and is the second book of the Passenger duology. 1. Bracken takes the reader on an adventure from beginning to end. Across several time periods, and even some alternate timelines that have been reset to the original timeline mentioned in the story or changed in other ways. Plus, she brings in even more wonderfully fascinating characters. Although, I have to say I am not sure I loved it as much as the first book. 2. I must take a minute to correct my previous statement about loving to hate Sophia. After this book, I really like her. Bracken expands on Sophia history and her goals so I now understand her motives in the first book. Plus, she shows that when she cares for someone, she becomes furiously loyal to them. She proves herself to be wonderful ally to Nicholas throughout this book. 3. I am sure you are wondering about Etta and Nicholas, since they are the main characters. I loved their journeys during this book. While separated for much of the book, Bracken does a great job of both expanding on their characters individually and showing how much they care for each other despite their distance. 4. I am loving many of the new characters in this book. First, Henry Hemlock, who Bracken revealed at the end of the first book is Etta's father. He is wonderful. I feel that he was a much better parent to Etta in their short time together in this book that Rose was to her in the rest of her life. I really feel like he wants change for the greater good. The Li Men, a girl was quite a few secrets and is quite handy on numerous occasions for Nicholas and Sophia. Plus, the interesting chemistry between her and Sophia has me wanting a story featuring just them. Then Julian Ironwood, Nicholas's supposedly dead half-brother, is not so dead. He has some great character development from lazy party boy to a young man inspired to make a change. The possibly the most interesting of characters, the Belladonna, aka the Witch of Prague. She has some interesting motives that are not quite clear until the end. 5. Even after learning Rose's reasons for treating Etta the way she has, I am still ambivalent toward her. I feel that she redeems herself some toward the end of the book, but I am not sure that makes up for everything that Etta has been through. 6. I loved the ending in this book. It was perfect for the characters, and an interesting twist on what happened to the astrolabe. I am a little sad that Etta and Nicholas's story has finished.